Preconceptions about safari holidays – concerns about safety, health risks and budget – might put some clients off considering a wildlife trip to Africa, which can make it a tricky sell for agents less familiar with it. But Africa experts from African Pride, Exsus, Rainbow Tours and Wild Frontiers offer the following advice to help agents make the sale. Watch more tips from experts in our accompanying video. 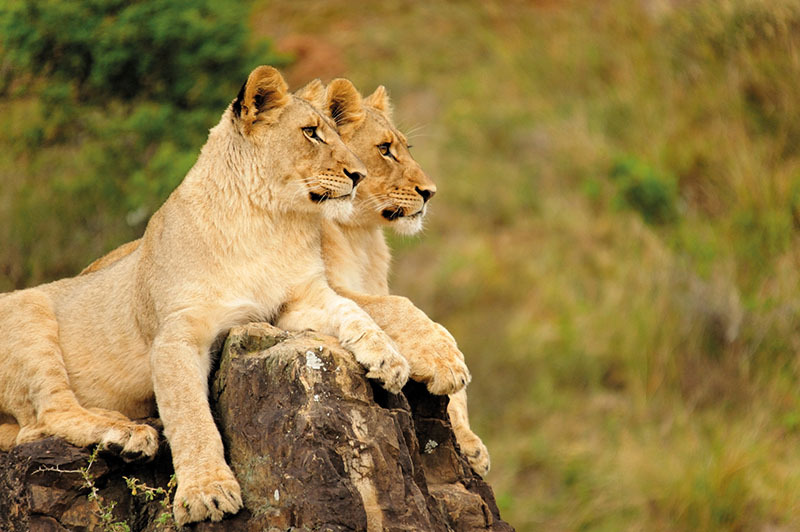 For first-timers, classic destinations such as Kenya, Tanzania and South Africa are still key. “Kenya and Tanzania both have plenty of accommodation and varied habitats. You can also drive between camps or, if not, there is a good flight network, which keeps prices down,” says Exsus’s Africa sales and product manager Peter Felix. Destinations vary in typical cost too. Botswana tends to be the most expensive because of the inter-camp flights, while more affordable options can be found in well-established Kenya and Tanzania. Luxury operator Exsus urges agents to underline that on a safari holiday, everything is included. “Yes you can be looking at £7,000 per person for Botswana in peak season, but that includes all flights, transfers, food, drink and incredible experiences,” says Felix. A safari is a magical experience for children, but must be chosen carefully. “On most traditional safaris there is a minimum age limit of 12, and families with children any younger have to book a private vehicle instead,” warns Wild Frontiers’ Africa specialist Jon Fitzsimmons. South Africa’s malaria-free Eastern Cape is a popular choice for those travelling with kids. “Madikwe, north of Johannesburg, has some big lodge houses for the whole family, and Sabi Sabi has a brilliant kids’ centre, EleFun,” says Taylor. Wild Frontiers doesn’t have many family clients, but suggests Madagascar as an interesting alternative to mainland Africa. “There is nothing poisonous in Madagascar, so kids can walk through the forest quite safely,” says Fitzsimmons. Being on safari can be tough when getting up at 5.30 or 6am each day, so clients often pair it with a beach break. Taylor says Mauritius twinned with South Africa, and Kenya or Tanzania with Zanzibar, remain popular combinations, but highlights the beaches of Mozambique as an alternative. “You can drive to Mozambique from South Africa so it’s quicker than flying to Mauritius and it has kilometres of gorgeous beach, with hardly anyone else there,” he says. Price-wise, it tends to be on a par with Mauritius, he adds, though there aren’t many special offers. June to October, when the bush is dry, is generally considered to be “peak season” for traditional safari. “When it’s dry, the animals all congregate around watering holes and the sparser vegetation makes it easier to spot animals,” Taylor explains. “We’ve started really promoting the shoulder-season, April/May and October/November, when it’s less crowded and there are some great special offers,” he adds. Buchan confirms that price differences can be quite stark. “Our Botswana by Sanctuary Retreats trip, for example, was priced from £7,120 per person for nine days from June to October 2018. With a dozen countries in Rainbow’s Africa collection, Buchan says clients can take a safari at any time, but the recommended destination might change. Felix highlights Namibia as an early-booking destination. “There is a chronic availability problem – clients need to book 18 months out in order to get what they want,” he warns. The risk of malaria is higher in some countries than others and clients must always seek professional medical advice on whether they should take anti-malaria tablets. South Africa has some malaria-free areas, which make it popular for those worried. Felix says that the risk is lower in the dry months than the wet months. Zika has been a concern for some honeymooners, but there is no known risk of Zika in Botswana, Namibia, South Africa, Zimbabwe or Zambia. Clients who don’t fancy the idea of sitting in a safari vehicle for six or seven hours a day might be interested in more varied ways of seeing wildlife. Walking safaris offer a different way to enjoy the bush, with Zambia the pioneer of this activity, he points out. Felix highlights hot air balloon trips in Kenya, Tanzania and Zambia, canoeing on the lower Zambezi (between Zambia and Zimbabwe) and scenic helicopter flights in Botswana.